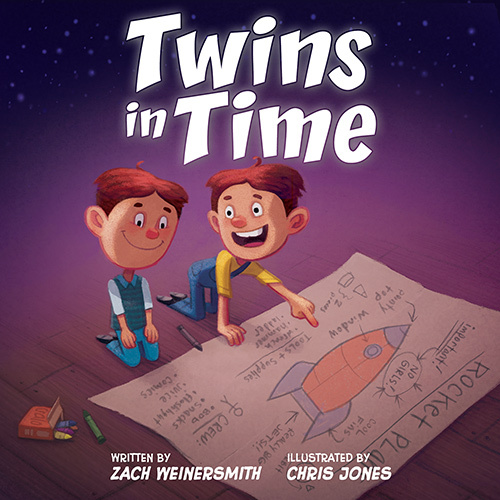 Twins in Time is a visual adventure written in verse. It is written with children in mind, but particularly intelligent adults are welcome to come along. 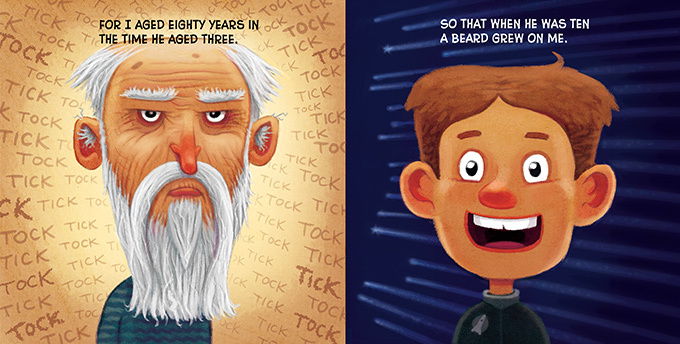 Twins in Time explores the classic physics question called "The Twins Paradox" in a brisk and lighthearted style. 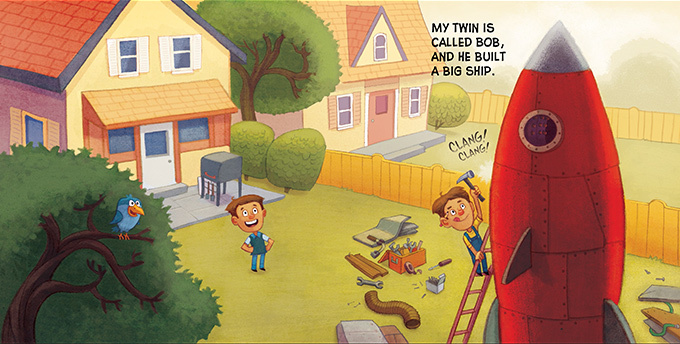 Each page is a full color painting by acclaimed children's book illustrator, Chris Jones. The text of the story is written by Zach Weinersmith, the cartoonist who creates Saturday Morning Breakfast Cereal. 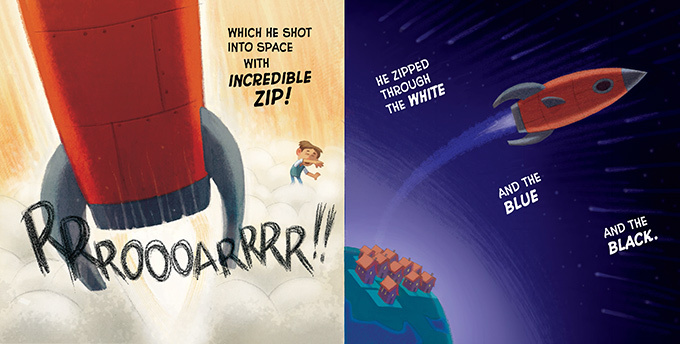 For those who demand a bit more rigor in their children's literature, physicist and bestselling author Dr. Sean Carroll has written a brief discussion of time at the end of the book.